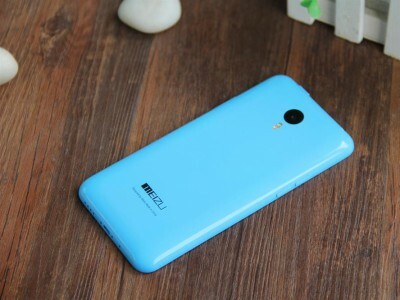 Meizu M2 Note Specifications:-Â Few months ago, MeizuÂ has announced that they are going to enter in the Indian smartphone market. The company has announced that their M1 Note handset will be available for purchase in India starting May 20, and more devices will quite probably follow soon. Some say it will be known as Meizu mi Note 2 and others Meizu Note 2. So finally now Meizu has released its new mid ranger device. we can say that this device willl be the dubbed version of the M1.Â The leaked photo shows the alleged M2 Note sitting cosily next to the Meizu MX4.Â So lets have a detailed view on Meizu M2 Note Specifications, Meizu M2 Note pros and cons, Meizu M2 Note price. This handset features with the 5.7â€³ S-CG LCD display.Â The device is actually very similar in size and design to the MX4 itself. The home button however has been redesigned and is now an oval shape rather than a rectangle with rounded corners. The M2 Note will not have a fingerprint sensor as one of the Meizu executives made it clear that it will not have one. Meizu M2 Note will have the advantage or merit as it will beÂ powered by MediaTekâ€™s MT6753 64-bit octa-core SoC. So with fueling with the high intending octa core processors there is no problem arises of the over heating and hanging. We can enjoy smooth running of games and applications. In term of storage, Meizu M2 Note Specifications there is 2 GB inbuilt storage. The internal storage is said to be 16 or 32 GB according to variants. There is no word regarding its expendable storage which can be Meizu M2 Note’s disadvantage or drawback. At the back, you get a 13 Megapixel camera with CMOS sensor, 5 Megapixel CMOS camera at the front .The 4G LTE connectivity will allegedly also be a part of the package, and the device will ship with Android 5.1 Lollipop pre-installed with Meizuâ€™s Flyme OS on top of Googleâ€™s OS. It supports WCDMA, FDD-LTE and GSM networks. expendable upto 128 GB which is hardly seen in any other smartphones. We arenâ€™t sure how this will effect the sales of the M1 Note in India. Customers didnâ€™t take it too well when Xiaomi started selling the Mi3 in India and introduced the Mi4 in China shortly after. Weâ€™ll just have to wait and see what happens after the announcement on June 2nd about the expeccted price of Meizu M2 Note.